News > Students > What do students really think of Brexit? A survey of more than 62,000 prospective international students, 27,955 of whom were considering studying in the UK, recommends that UK universities must continue to build on the success of campaigns that promote the UK as a welcoming destination for international students. The ‘Welcoming the World: Maintaining the UK’s status as a top global study destination’ report by Hobsons, the student recruitment and retention solutions company, argues that while strategic challenges for UK higher education remain following the vote to leave the EU last year, efforts by universities and campaign groups to promote the UK as a welcoming destination for international students are having a positive effect. The fifth annual International Student Survey (ISS) by Hobsons – the largest of its kind – surveyed students from 196 countries who plan to study abroad. This year’s research found that 68.5% of respondents said the decision to leave the European Union had made no difference in their decision to study in the UK, 12.7% said they were less interested in studying in the UK as a result of the EU referendum, while 11.3% said it made them more interested in studying in the UK. 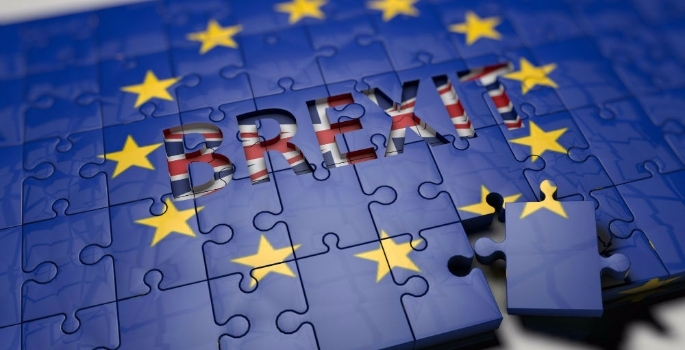 While the results of this year’s ISS present a more optimistic picture of the impact of Brexit on UK higher education, the sector must still overcome challenges in order to reassure international students that the UK remains a welcoming place. The degree to which a place feels welcoming is one of the most important factors influencing prospective students’ choice of a university town or city, with 31% citing it as the most important consideration. Being a welcoming place is ranked above quality of teaching, which 25% choose as their most important consideration. Early indications suggest that Trump’s proposed travel ban on the nationals of six countries had a negative impact on international student perceptions of the US. However, this potential benefit for the UK will only be realised if the sector can project a strong, positive, and welcoming message to international students – 22% of prospective international students reported that they were reconsidering their decision to study in the US, 59% of these students said that the UK is now comparatively more attractive compared to the US as a destination for international students. Jeremy Cooper, Managing Director of Hobsons EMEA, said: “While the results of this year’s ISS present a more optimistic picture, UK universities must continue to build on the success of campaigns that show international students are accepted and appreciated in the UK. Findings from this year’s ISS show that there are many factors besides rankings that influence international student perceptions of quality. The research suggests that measures of student satisfaction and teaching quality can have equal or greater influence than institutional or subject rankings – 69% strongly agreed that a university having highly qualified teaching staff was an important indicator, while 22% somewhat agreed, making this the strongest single indicator. The second strongest indicator was high graduate employment rates, with 52% strongly agreeing and 29% somewhat agreeing. When asked to say whether they would be more likely to attend a university with a high ranking, or one with excellent teaching quality, 80% suggested that they would choose a university with excellent teaching quality. Given the extent to which the perception of these factors are within the control of universities compared to rankings, this could be encouraging news for universities that perform less well in the league tables. Hobsons’ findings suggest that there is much that lower-ranked institutions can do to increase their appeal to international students.